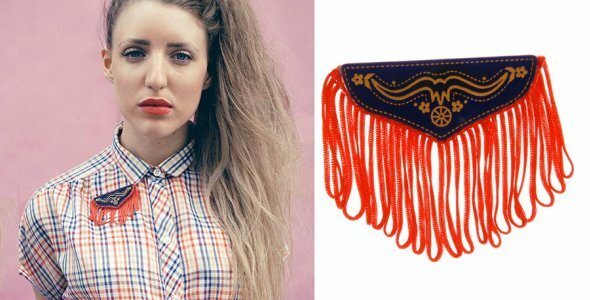 Hype Kappers - Tatty Devine Accessories | Memorable Days : Beauty Blog - Korean Beauty, European, American Product Reviews. Remember my previous blogpost about Hype Kappers? This hair & fashion store is also selling products of the brand Tatty Devine. You can find lots of cute & cool accessories with an old school design there. All accessories are handmade. There are only two Tatty Devine stores and those are located in London. However, Tatty Devine lovers don't have to travel all the way to London now. Hype Kappers is also selling these accessories in their stores in The Netherlands. If you're a fan of old school accessories, I would recommend this brand ;). This brooch is actually my favorite of the bunch, it's worth around £30. 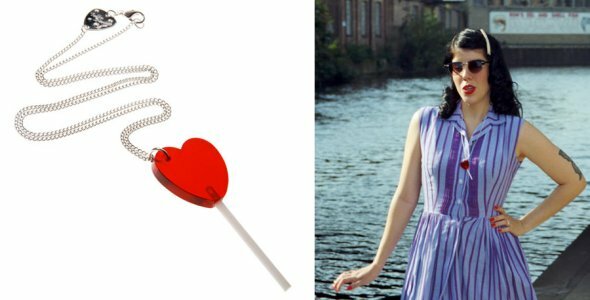 This cute lolly pop necklace is worth £30. 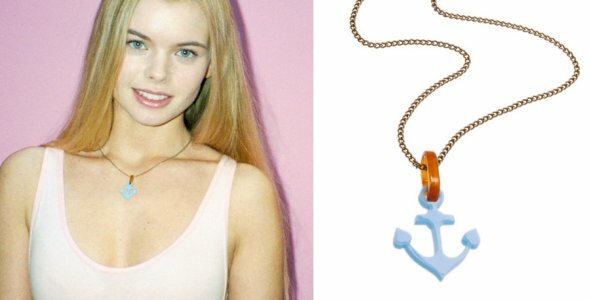 This baby blue anchor necklace is worth £12, nice color isn't it ^__^? I was contacted by the company to share this give away. I didn't receive anything from them to post this, because I just love to share giveaways ^__^. Nah niks voor mij :) Tis nog vrij duur ook! @Sam, vind 't zelf ook vrij duur, mja het is wel allemaal met de hand gemaakt en door het merk zelf is het duur xD. Die broche is superleuk, alleen weet ik niet of ik daar 30+ euri aan uit wil geven XD!